As my parents religiously read my blog, let me preface this post by stating no, at no point was I actually lost in the Amazon (cue a sigh of relief from my family members). Rather, Sean Denny and I disconnected from the world for a glorious week. No internet access, no cell phone service, and yes, that means no 4G, Facebook, etc. We had access to a generator for 1 hour to charge up camera batteries, but otherwise, off and free into the Amazon we went! Sean and I have quite different travel styles, so we split up the trip into two parts: mine and his. My week was the adventurous activities portion consisting of mountain biking down the live volcano of Cotopaxi and repelling down waterfalls in Banos. His vacation would be a week with indigenous groups running around the rain forest and far, far away from civilization. In summation, we both enjoy adventures, but I prefer to stay clean while he prefers to be one with nature - I think we were both good sports! 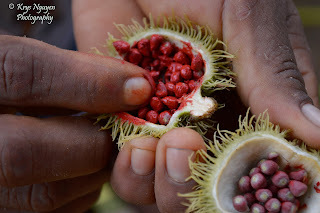 A Fulbright friend had connected us to Otobo's Amazon Safari, a family-run well...tour agency. I'm not so sure you can all it an agency as it's just Otobo, who serves as your guide, and then his family members who spend the week with you. Tom and Mariela are the individuals that connect you to Otobo (i.e. they are literate and have internet access) and own a travel lodge in Mindo, Ecuador unrelated to Otobo's tour. 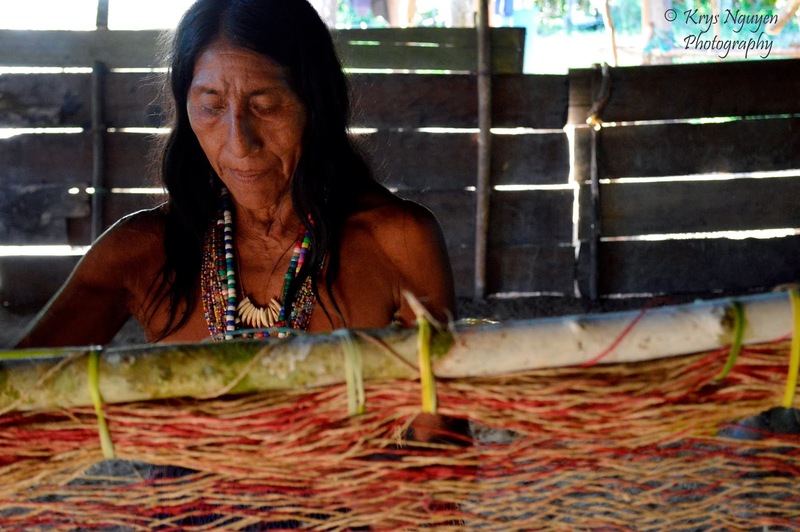 Considering that you take a small private plane deep, really deep, into the Amazon, this tour is as local and truly cultural as you can get! Have you ever seen untouched natural beauty? 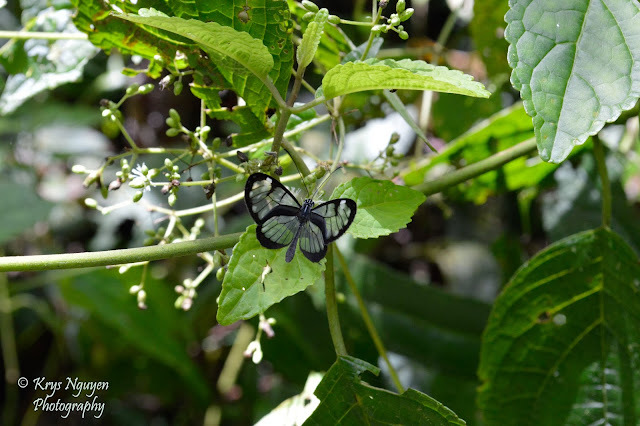 A tropical rainforest elevated 400 meters above sea level, Ecuador's Yasuni National Park is considered one, if not the, most biodiverse places in the world. For perspective, the core of Ecuador's rain forest contains more tree species (600+) in one hectare than are native to the continental United States and Canada combined. 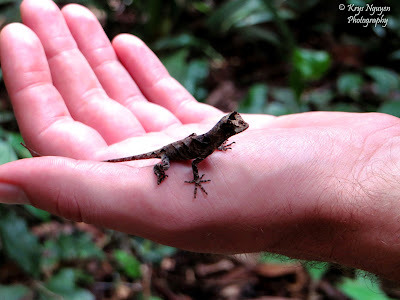 However, Yasuni National Park is also located on the largest reserve of heavy oil in the country. As of August 15th, President Correa has abandoned his initiative to preserve the park and approved oil drilling in the area. Sean and I were lucky enough to spend time running around the lush green forest spotting monkeys, touching anacondas, riding canoes to find caimen and pink dolphins, and so much more; it was an utter disappointment to hear this news. The international community can show support to conserve Yasuni National Park by signing here. The Huaorani are a deep forest, indigenous group that have lived in the lowland of the rain forest for at least the last 6,000 years. 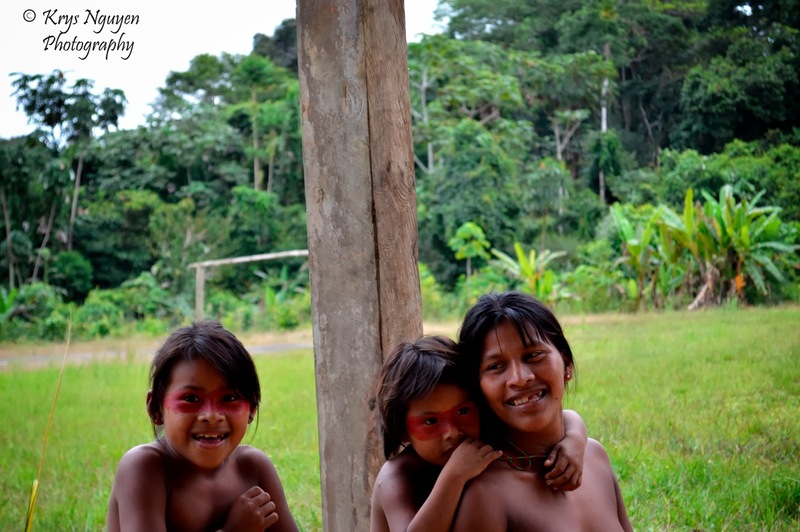 Otobo and his family are Huaorani and welcomed us with the finest hospitality. It was incredible to run with Otobo during hikes - he would have us stop, and while we'd hear silence, he'd hear the footsteps of peccaries and we'd chase after him leading us to get quick glimpses. 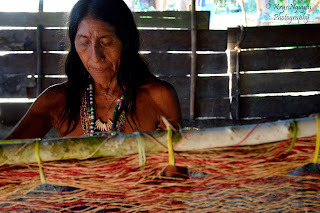 It was incredible seeing how the Huaorani's lives truly consisted of nature's resources: hammocks and jewelry made from vegetation, weapons made from bark, etc. With the Huaorani, we went fishing, shot blow guns, camped on beaches, painted ourselves traditionally, and laughed a lot despite our separate cultures and languages. I can only hope for the best for the future of Otobo, his family, the Huaorani, Yasuni, and Ecuador. 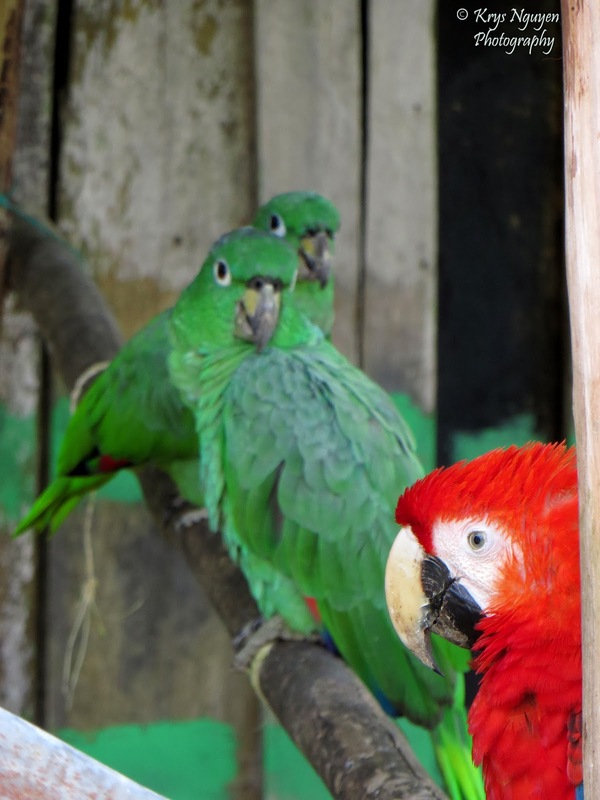 Banos, Ecuador, nicknamed "Gateway to the Amazon" is a town full of adventures. Home to more than 60 natural waterfalls, it's no wonder the natural beauty of the city attracts tourists from around the world. While in Quito, we booked two tours in advance with Imagine Ecuador: Rock climbing and Canyoning. With fun and humerous guides, safe equipment, and restaurant lunches, they provided great memories for us. Note: Buses from Quito to Banos take a bit over 3.5 hours, so plan your trip accordingly! On arrival on Day 1, we did a half day 2pm tour to climb the Andes Mountains! At the Natural Lava Rock, we spent an hour and a half climbing, but that was more than enough to give us enough bumps and bruises. On Day 2, we headed off to Rio Blanco for a few hours of repelling down 6 waterfalls! Imagine Ecuador describes the canyoning tour as "Negotiate your way down steep canyons by abseiling and jumping waterfalls and cliffs, cascading down natural chutes and swimming through crystal clear pools. 80% of the time is spent in the water." Yes! The beauty was that the waterfalls were so remote, there was no way to hike or drive to them - the only way to see them was to jump off one leading to the other! Amazingly captivating, this was my favorite activity on the trip (albeit it was freezing and scary!). A simple day trip from Cuenca is to Ingapirca, the site of the largest Incan ruins in Ecuador. Booking a Full Day Tour with Viator was quite simple as they partnered up with Grayline Ecuador, a local travel agent. Confirmation was left for us at our hotel, Casa Reyes, and Grayline took care of everything including an English-speaking guide (shout-out to Adrian! ), transportation, and lunch at Posada Ingapirca for $50. We did wish that they would have paid for admission, but it's all good! Ingapirca ("Inca stone wall") lies in the Canar Province of Ecuador and takes its name after the Inca palace and temple site. Contrary to popular belief, the Incas were not the first inhabitants of Ingapirca, but the indigenous group of the Canari originally settled here before the Incas arrived in the 15th century. Though it was a long-drawn out battle between the Incas and the Canai, the two communities actually built the community together afterwards! World peace! Eating Guinea Pigs in Cuenca, Ecuador! Sean Denny and I took an early 6:15am flight from Quito to arrive in Cuenca an hour later. Though quite sleepy, I was glad that we stayed awake to catch the breath-taking view of Cotopaxi volcano. Enjoying the view of the mountain was definitely much better than hiking up the mountain! Cuenca is the capital of the Azuay Province with the city center listed as a UNESCO World Heritage Trust site. The colonial city has temperate climate (think California!) and a ridiculously low-cost of living (i.e.$1-$2.50 fixed-prix lunch, $2 for a taxi ride, etc.). No wonder it is dubbed as one of "The Best Places to Retire" by US News & World Report (and many other reports). The temperate climate makes it no wonder these ladies are so happy! After intensive handicraft and souvenir shopping at Casa de la Mujer (100 craft stalls!) and the San Franciso Market, we headed over to the the New Cathedral also known as the Catedral de la Inmaculada Conception. As the city's main church in Parque Calderon, it took over a century to construct! Want to be amazed by a robust selection of fruits and vegetables and have a delicious meat lunch with fresh juice? One of the most impressive markets is Mercado 10 de Agosto, the only market in Cuenca with an escalator. Outside the market, Sean and I checked off eating another animal on our list: guinea pig! Cooking the guinea pigs was typical of street food where they were put onto a stick (a very large pole) and grilled. Not too much meat, but a good treat! Note: The pig comes whole with teeth and all. Apologies to any vegetarians/vegans reading this. Our first real relaxing day of the trip and Cuenca was the perfect town to walk around and explore. Off to explore Incan ruins tomorrow! Following yesterday's strenuous climb up Cotopaxi volcano, we took two well-relaxed days at the hotsprings of Papallacta and the San Rafael Waterfalls at Cayambe Coca National Park. Three hours from Quito (given the traffic), the small village of Papallacta houses local hotsprings that serve as a weekend family getaway for Ecuadorians and a must-stop visit for travelers. 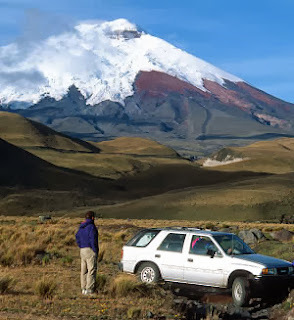 Papallacta's location between two volcanoes, Volcano Cayambe and Volcano Antisana, provide consistent thermal pool temperatures between 36°C to 40°C (97°F to 104°F). The next day we caught a ride to Lago Agrio (about 1.5 hours from Papallacta) to do a small 45-minute hike to the San Rafael Waterfalls. Around 500 feet, the San Rafael Waterfalls are the tallest and considered most spectacular in Ecuador. A beautiful sight, this is a highly underrated attraction (perhaps due to the 5-6 hour ride back to Quito). Tag the waterfalls on with a Papallacta hotspring day and you will have a near perfect weekend! At just under 6,000 meters (~20,000 feet), the stratovolcano of Cotopaxi is one of the highest active volcanoes in the world. Prior to the Inca invasion of the 15th century, local indigenous groups around the Andes dubbed Cotopaxi a "Sacred Mountain." With a pedigree of such caliber, over 100 climbers attempt to make it to the summit each weekend. Unfortunately, those that wanted to make it to the summit included us! I was actually interested in simply mountain biking, but poor planning and bad luck turned us into two sad, cold, and angry individuals. Moral of the story: If you don't like hiking or nature, don't climb a volcano in overly bleak weather! Cotopaxi Volcano a.k.a. a "Sacred Mountain"
We had booked our trips at 6pm the night before the tour with Ecuador Treasure, a tour company that has the friendliest customer service. We tried booking with Biking Dutchman, but 1) They didn't have tours the day we wanted and 2) They stated that they couldn't recommend other tours "Because their bikes, guides and service is way below ours." Points loss for arrogance! Our guide stated that because of the altitude and steepness, it would take 1.5 hours just to walk up 300 meters. We would drive up the volcano, walk to the rest stop, walk some more, and then mountain bike back down. Freezing temperatures, rain, and fog disallowed us at most points to see more than 10 feet in front of us. Thus, the beautiful views on clear days could only be imagined. Adding to the fact that I soon became delirious due to the altitude (i.e. thinking the rest stop was only a mirage) and the mountain bike was way too big for me, this was probably the worst of my travel adventures to date. Weather conditions on the day we climbed (left) vs. conditions on a normal day (right). Did we climb and mountain bike an active volcano? Yes, sir! Will either Sean or I do it ever again? No, sir! Smiling because we're done climbing! Restaurant Achiote in Mariscal. Live music plays regularly too! That night, we spoiled ourselves with an expensive dinner (well, $30+/each) at Achiote. Off to a more relaxing time at the hot springs of Papallacta! Quito, the capital city of Ecuador, stands 2,800 meters (9,186 ft) above sea level. Since it's the highest capital city in the world, one needs to make sure to adequately provide time to acclimate to the altitude. We had planned to climb Cotopaxi Volcano the next morning, but switched our plans around to explore Quito and make sure we could breath adequately! Kudos to my travel partner-in-crime Sean Denny for waiting at Mariscal Sucre Airport for me for 7 hours! With a delayed 2am arrival time (originally scheduled for 11pm, but detoured to Guayaquil because of the fog), I arrived to a very sleepy friend. The Ciudad Mitad del Mundo is a National landmark located just 45 minutes (~$10) north of Quito by taxi. Note: A bus is also much cheaper for less than a dollar, but can take up to 1.5hours. The 30-meter monument, supposedly dubbed the middle of the world, is actually not exactly Earth's middle! In 2012, the New York Times released an investigation exposing the true middle of the world 240 feet away. The highly recommended route is to take a photo at the touristy monument, shop at the artisan stores, and then make a left out of the park for a couple hundred meters. Turn left down the dirt path (they'll be of course another tourist sign) and take a photo with the real "Middle of the World" at 0 degrees latitude, 0 minutes, and 0 seconds. The real middle of the world (proved by water standing still). We're happy kids running around the site. Conveniently located at Juan León Mera and Reina Victora in the Mariscal neighborhood a.k.a. Backpacker/Tourist Central is Mercado Artesanal La Mariscal. The biggest artisan market in the city, one can find everything from Ecuadorian handicrafts to Panama hats. Bring lots of dollars as you'll spend more than you need - you might even be lucky enough to be able to use a credit card if you wish! Best for last is Quito Old Town! With colonial architecture and quaint charm, this historic center will impress any seasoned traveler. Paradigm churches, a nostalgic atmosphere, and bustling small businesses makes for a magical walk (and take this from someone that doesn't like walking!). Stop by Cafe Dios de Muere for a coffee and dessert - just follow the music on Calle de San Marcos! I'm falling in love with the painted balconies of Old Town Quito. View from Cafe del Fraile - perfect dinner when it rains!